It’s hard to say who was having more fun at comedian/ventriloquist Jeff Dunham’s show at AirVenture's Theater in the Woods on Wednesday night: Dunham or the overflow audience. Dunham, builder and pilot of several RotorWay helicopters, spent a few days at the show having a bunch of fun in the air. Fascinated by helicopters since childhood, Dunham was hit hard by the building (and flying) bug: He announced to the audience that his next project will be RotorWay International’s new helicopter, the A600 Talon, which debuted at AirVenture 2007. The Talon is a comprehensive redesign of the previous models, incorporating requests from customers such as an all-glass cockpit and a backup FADEC system. The 162’s primary drive chain has been replaced by a heavy-duty cog belt to improve maintenance access and component longevity. For more information, call 480/961-1001, or visit RotorWay International. 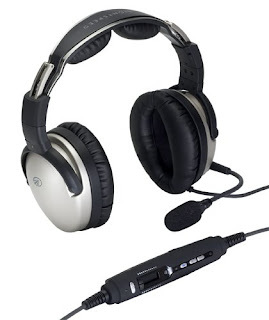 Lightspeed Aviation announced its newest iteration of the Zulu ANR headset—the Zulu:P. Running from panel power instead of two AA batteries, the Zulu:P uses the same six-pin LEMO connector as the Bose X. The elimination of the battery compartment lightens the headset a little from its original 13 ounces and keeps the "my batteries just died" rumble away. Given the capabilities of the headset, including a Bluetooth connection to cell phones and a wired interface for cell and music devices, consistency in power supply is an important feature. How did the music demo sound at the booth? Nice. Really nice. The rumble of the hangar's noise pulled back to a blanket of blessed quiet. And the audio quality of Foreigner's "Cold as Ice" courtesy of the company's iPod was crisp and vivid. 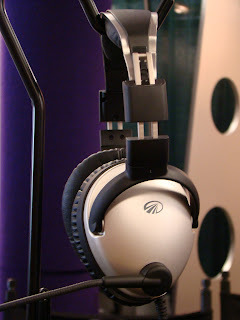 The headset itself was light and well balanced, with no uncomfortable clamping pressure or hot spots. 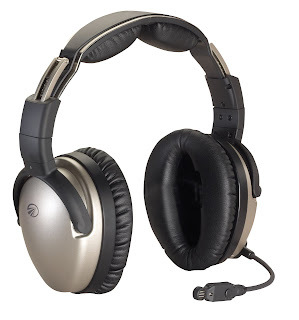 Lightspeed's Mark Shepard added that the Zulu:P had been announced before it became widely available, and the $900 headset, which has given the Bose X a run for its money, is available from the company's usual retail distributors such as Aircraft Spruce, Gulf Coast and Pacific Coast Avionics, and Sporty's. Lightspeed Aviation's upgrade and trade-up options are midway through their 2008 rollout. Option A is a direct rebate program that allows you to upgrade your existing Lightspeed headset for a new Zulu for varying percentages of your original investment. The 30/3G and 20/3G trade-up program offer, with a cost to you of $350 and $450, respectively, is available when you mail in your original headset. The XL series (25XL, 20XL and 15XL/Mach 1 series) rebate will roll out in October 2008, with a $550+ headset cost. The program for all other Lightspeed headsets will also go live in October, with a $650+ headset price tag. When the rebate form, your check and old headset are received by the company, your new Zulu headset will be shipped. If you don't want to wait, Option B is available right away. You buy the Zulu headset first, download and fill out the rebate form from the company's web site, and mail a copy of your proof of purchase and your old headset to the company. As the program's launch approaches, they'll contact you with further details. This rebate option applies to any Lightspeed brand headset, with the exception of reconditioned and OEM headsets. To find out more about the trade-up program, call 800/332-2421 or click here. Visit Lightspeed at Booths 2028-2032 in Hangar B. On my way to the Zenith 701 sheet metal project, I was waylaid by the constant and very loud sound of sheet metal getting the heck pounded out of it. One of the instructors, Jake Hunsinger of Mansfield, Ohio, invited me in to join the fun. Using the Tuck Puck method, developed by Carey Culpepper last April, the participants set a flat, round piece of sheet metal on a concave puck base, machined from UHMW plastic. (It's available for $30 from TuckPuck.com, as is the $26 instructional DVD.) Also, the TuckPuck can be used to stretch the metal instead of a shotbag. This method is also described on the MetalMeet website. Hunsinger was introduced to metal shaping in October of 2006, and quickly got involved in the online MetalMeet.com community. While metalshapers work on other applications such as classic cars, aircraft components such as wheel pants and scoops can be shaped as well. The rudimentary shaping that I did started with deburring a round piece of sheet metal (away from the flat file's tang, thank you very much). Once my chances of slicing my hand open with the sharp edges were eliminated, we centered the metal over the puck, and with a long, rounded plastic mallet, I pounded away around the interior circle, drawn on with a Sharpie. A few good whacks resulted in a "tuck" or a "flute" at the outside edge of the metal, which was then stretched and flattened with the long plastic mallet with a rounded end. Round and round I went, until I had a rough bowl-shaped piece of metal where a disc once was. The real use of the skills became apparent when Hunsinger showed me the wood form for a pair of wheel pants that would be shaped at the workshop. A paper pattern for that part was laid over the wood form, with orienting arrows and reminders to ensure the piece is shaped properly. Because my bowl was pretty lumpy and uneven, it was time to smooth it out in the English wheel, this one featuring a rounded lower wheel. I was impressed with the emphasis on personal safety during this workshop experience. Not being of large stature, I received quite a bit of advice on which mallet would be easiest for me to handle. There were also a lot of careful eyes on my work on the English wheel, most of it advice on how not to smash my thumbs between the upper and lower wheels. This was just a quick taste of metal-shaping, and I expect to have a more in-depth experience at AirVenture 2008. Besides, I need another bowl for the matched set.